It’s that time, folks. Who’s ready to make the world a better place while winning fabulous prizes? 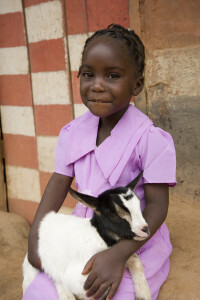 Heifer International is my favorite charity. It helps people raise themselves out of poverty and starvation. For more than 60 years, Heifer has worked to improve education, sustainable agriculture, and local industry all over the world. We’re always looking for ways to improve the fundraiser. So while much of Worldbuilders is the same as last year, some things are entirely new, and some things have changed a little. So even if you’re a Worldbuilders Veteran, you might want to give this blog a close look so you don’t miss any changes. This is the option most of you will want. It’s quick, easy, and tax deductible. You just hop directly over to the fundraiser page we’ve set up, and donate. 2. You’ll be entered into our lottery, which contains over $100,000 worth of games and books. For every $10 you donate on our fundraiser page, your name will be entered into our random drawing for all the swag that’s been donated. Thousands of books, comics, and games. So if you donate $30, (enough for a flock of chickens) your name goes in three times. Donate enough for a goat ($120) and your name goes in 12 times. What’s in the lottery? A lot. So much that if I showed it to you all at once, the raw intensity of the aggregate awesome would cook your brain like a toad thrown into the sun. So for everyone’s safety, we’ll be posting up a new blog every weekday until the end of the fundraiser on December 14th. Occasionally we might take a Wednesday off, during which I will graciously allow the Worldbuilders team time to eat and sleep. You can see *all* the books currently in the mix on our snazzy Lottery Library page, which will be updated throughout the fundraiser. Thanks to our sponsors, we have even more games in this year’s fundraiser. A lot more. We know some of you aren’t big gamers, so you’ll be able to select whether you want to win books, games, or books AND games. Another thing we’re doing is that every day for the next two weeks, you can vote with your charity dollars what I’m going to do for the evening: play Fallout 4 or work on Book 3. To help spread the word about the fundraiser (and encourage donations) we’ve brought members of the geek community together to do whimsical things as our donation total grows. There will be fan fiction, tongue twisters, alcohol, cooking, and so, so much more…. 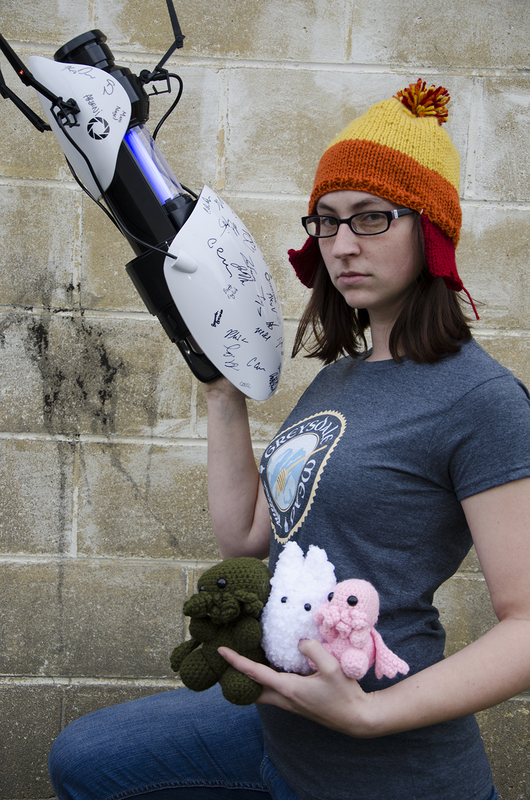 $50,000 Fox in Socks – NerdCon Edition! $125,000 Authors Read 1-Star Reviews: 2015! $150,000 Fox In Socks – Worldbuilders Edition! $300,000 Sam Sykes and Myke Cole announce Sportsball! Note: Worldbuilders ends December 14, 2015 at 11:59 pm UTC-11. To be eligible for the lottery, you must have made your donation on the Fundraiser Page before then. For those of you who might be interested in getting some holiday shopping done early, we have a well-stocked store, lovingly named The Tinker’s Packs. All proceeds from the store go to Worldbuilders, as well as helping nudge our donation total up to hit our stretch goals. We’ve got t-shirts, posters, and other coolness available for purchase. We also have foreign editions of many titles, donated and signed by the authors. We’ll be adding new items to the store throughout the fundraiser, so keep an eye on the blog. If you’re worried you might miss some of the coolness, you can sign up for the newsletter, or follow the Tinker’s Packs on Twitter and Facebook. We’ll post updates there whenever something new happens. Sometimes we get donations that are really cool… but only to a select group of people. Some people would squee with delight at winning a portal gun, but some people (sad, unhappy people) have never played Portal, and as a result they just don’t care. The same thing is true with action figures, musical instruments, manuscripts, or other collectibles. So we put those items up for auction. This year we have professionals willing to read and critique unpublished manuscripts. We have signed art and rare books. We’re auctioning off cameo appearances in comics and the chance to have your name in upcoming books. Our website has all of the information you’ll need, including a nifty bar that shows off how much money we’ve raised from all of our various avenues. Worldbuilders also has a Facebook page and a Twitter account for those of you who like to have the internet injected directly into your veins. Wonderful, time to do some good. Also people should check out the WorldBuilders Youtube. They’ve got a decent video explaining the good Hiefer International does. I shall donate, because this is obviously a good cause(! ), but I live outside the US (in the UK), so I’m a bit worried that if I did win something then either you wouldn’t be able to ship it because of cost (OK, I’d still donate, I assume the chance of winning something is slight anyway), or the extra shipping cost might have to come out of donations (which rather ruins the point). Is there some mechanism to work around this? The FAQ doesn’t seem to talk about shipping costs or non-US entrants at all. I’m not sure how they handle it, but they definitely do ship outside of the US. There are also a couple of Worldbuilders blog posts from last year saying that they shipped out international prizes. It’d be interesting to know how that gets handled, though. Maybe there’s a lower shipping rate since a lot of it is books? I know the US has Media Mail, so perhaps there’s something like that for international shipping. Slight typo – “More if the book gos into multiple printings”. I dare say you meant “goes”. Thanks for catching that! We’ve fixed them.